With two half marathons to choose from, the mostly trail-based Chesebro Half Marathon and the Pacific Half Marathon, a mostly road-based 13.1-miler — the Great Race of Agoura Hills makes its 34th annual running here in the Santa Monica Mountains overlooking the Conejo Valley, and also includes the Old Agoura 10K, Deena Kastor 5K and a one-mile race for kids. Both the Chesebro and the Pacific halfs are set to run on the courses that have been used in previous years — which, for those running the Chesebro Half Marathon, will mean an out-and-back run through the part of the city known as “Old Agoura,” and into the Cheeseboro Canyon Trail, which winds through the Santa Monica Mountains National Recreation Area just north of Agoura Hills. The race starts on Carell Avenue, which lies about a 10-minute walk from where the finish line lies, in nearby Chumash Park. From there, runners will follow what is roughly a counter-clockwise loop route through the city and into the canyon trails, climbing roughly 600 feet in elevation between the starting line and the high point of the race, which occurs around the mile 8 marker (and is almost the northernmost point of the race route). The scheduled starting time for the Chesebro Half Marathon is 7:00 AM, and runners will have 3 hours and 30 minutes to complete the course. The Pacific Half Marathon features a different starting line but the same finish line, as all races converge on Chumash Park for the finish. Instead of starting near the park, runners in the Pacific Half start a few miles to the south in Paramount Ranch and start their race a half hour later, at 7:30 AM. Along this course, too, runners make a counter-clockwise loop along the roads that wind around Paramount Ranch, which has been used as a filming location over the years for many movies and television shows, including The Cisco Kid and Dr. Quinn, Medicine Woman. Runners can expect plenty of rolling hills along the course for the Pacific Half Marathon, with the steepest uphill and downhill stretch between mile markers 3 and 4 along Kanan Road in the Saratoga Hills. Once they make it back around to pass the starting line area, they head north along Cornell Road for a second time on the way north back into Agoura Hills, past Agoura Park and then into Chumash Park for the finish line. Located in Southern California, about 35 miles west of downtown Los Angeles, Agoura Hills typically sees April temperatures that average between 45°F and 78°F, while rainfall totals average 0.88 inches for the month. On the day of the race (April 6), the average low is 44°F and the average high is 76°F. See the race route maps for the Great Race of Agoura Hills here. To reserve your spot in the 2019 running of either half marathon at the Great Race of Agoura Hills, or the 10K or 5K races, register online at RunSignUp.com here. 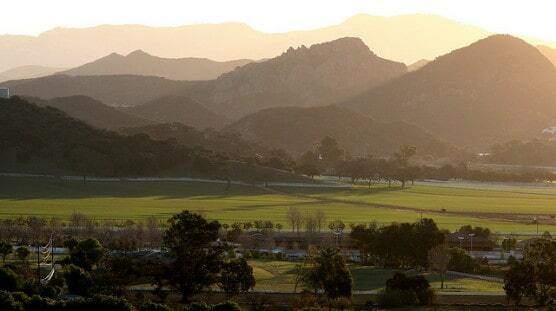 Ever run in the Great Race of Agoura Hills? Share your impressions here, or post your review in the Comments below.